A Magical Hidden Object Game! 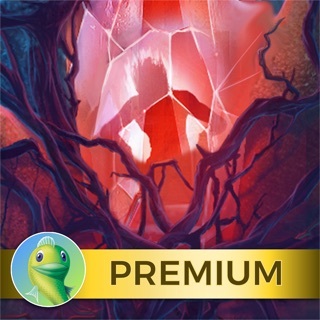 Revisit a classic story in this captivating Hidden Object adventure! What starts off as a normal day takes a sharp turn when a tornado comes out of nowhere and carries your house away! You now find yourself in the magical world of Oz, where the Great Wizards are in competition for control of the realm. One of the wizards agrees to send you back, but only if you can retrieve three special statues. But beware, you’re not the only one looking for them! Explore the four corners of Oz while facing challenging obstacles and solving fantastic puzzles on a quest to find your way home! I entered this game hoping not to be bored with what I already well knew of the original story as well as the movie. This tale takes a divergent path, which definitely peaked my interest and held my attention. The plot line flows well, too. There are numerous, fun and clever HOGs, and the small animated touches added to each scene added entertaining flourishes. I enjoyed this game very much and will recommend it to my grand tweens and teens. Others complaints are what I like. It had chapters that you moved thru. It didn’t just go on and on. The games were easy but fun. I don’t like it when the game drags on forever. I don’t like when I have to think too hard to relax. I’m an RN and I work had enough all day to not want to pick up a game and have to “work hard” at it, too. I recommend this game.